An impressive debut in the OK Liga. 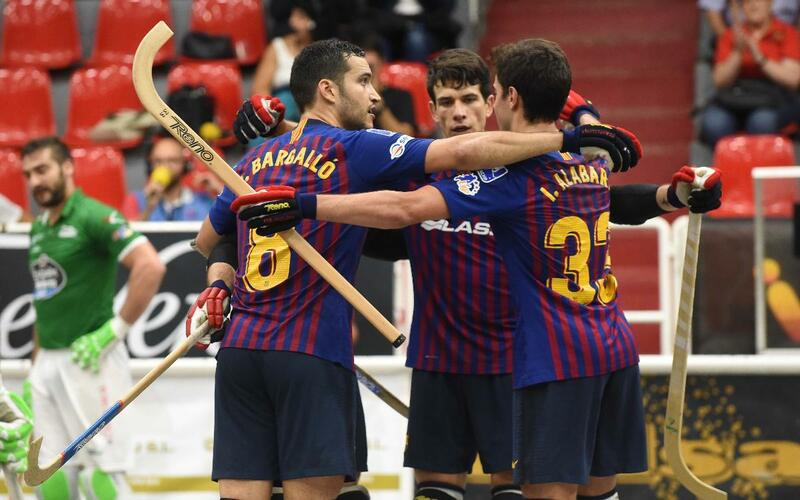 Barça Lassa defeated Liceo in the opening league fixture of the season in an exciting and tense game (4-5). The blaugranes made up for their defeat to the Galician team in last Sunday’s Supercup final. The reigning champions started their defence in the best way possible with a win over a direct rival away from home. Edu Castro’s team dominated and played excellently from the off as they scored within five minutes through Marc Gual (1-0). They continued to play well but lacked the accuracy to score a second. They were punished for it as Liceo’s Carlo Di Benedetto equalled late on in the first half (1-1). The second half started even better than the first did. After sixteen seconds, Ignacio Alabart made it 2-1 with a powerful shot. However, the home side didn’t give up and they went looking for the equaliser and they did so again four minutes later as Carlo Di Benedetto got his second. After Liceo had come back into the game twice, the blaugranes continued looking for the victory and they responded well as they moved ahead. Matias Pascual put Barça ahead for the third time and Ignacio Alabart got his second to move two ahead. Sergi Panadero then scored the fifth of the night to make it 2-5. Nevertheless, Liceo didn’t give up and they scored two through Fabricio Ciocale and Di Benedetto (4-5, 50th minute). The blaugranes had to suffer until the final whistle for their victory in Riazor in their opening OK Liga game.